Dallas wedding inspiration when it comes to your invitation suite then you’ve come to the right place. Adding texture to your invitation is a growing trend in the wedding world and we love these 9 wedding invites that bring invitations to the next level by utilizing unique materials. What better way to introduce your woodsy fairly tale wedding than by having a wood invitation? There are so many creative ways to get your information on this natural material from ink transfers, letterpress, to wood burning. With so many tools at our disposal now-a-days (thanks crafters), the idea of a gorgeous metallic cut out invitation is within reach. It could be the sleeve of the invitation or a fun detail inside that frames the information. There are so many paper options out there now that are natural. From seed paper, pressed flowers, and raw edge handmade paper these elements offer an elegant handcrafted touch. The translucency of vellum is a fantastic material to design with. It can be layered and paired with patterns for a fun, feminine touch. Sheets of lucite with hand lettering are a huge trend in wedding invitations. It’s a subtle, minimalist approach that captures your attention. Mix it up by adding gold accents or greenery underneath. Linen envelopes are an unexpected surprise to get in the mail. This organic approach is definitely a statement peice. There’s something romantic and storybook like about having an elegant pop-up invitation. It’s a great way to call out your love story. 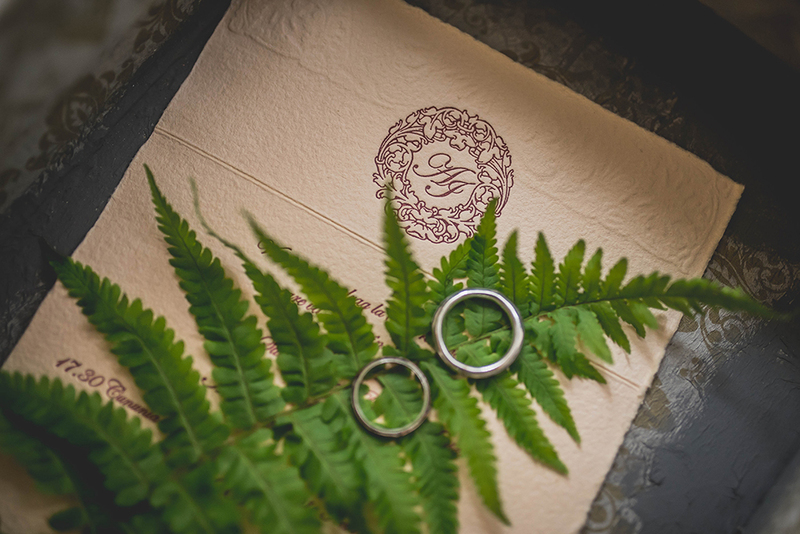 Similar to linen envelopes, printing the invite on linen is a fun way for your guests to experience your invitation. It also becomes a keepsake that can be framed for memories. What’s as luxurious and feminine as an invitation wrapped in ribbon and sealed with wax? It’s a beautiful final touch that will take your guests breath away.